Maharishi brings to light that the Vedic Devata are the various aspects of Natural Law that organize the entire universe and maintain it in perfect order. They are Laws of Nature, or collections of Laws of Nature, with specific administrative functions that provide for the creation, maintenance, and dissolution of the entire universe. They are the creative powers of cosmic dimension, permeating the whole creation. All the Devata, all the impulses of Creative Intelligence of Natural Law, are present in every point of creation. The Devata are integral aspects of our own human physiology. They are embodied in every human being with the same forms and functions described in the Vedic Literature. The Devata are present in the physiology of everyone, no matter what one's race, belief system, or religion, no matter which political party one associates with, or in which geographical area one is born. Maharishi has completely restored the thousand-of-years-old scattered Vedic Literature for the total significance of its theory and practice, and has organized it in the form of a complete science of consciousness. 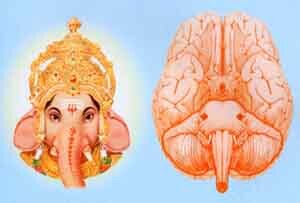 Transcendental Meditation is the subjective technology of Maharishi's Vedic Science of Consciousness. Maharishi's Vedic Science and Technology is a complete Science and Technology of Consciousness; it is the complete science and technology of life, capable of raising all aspects of life to perfection.